Anyone lucky enough to have been able to experience the "magic" that is a Disney Vacation in Orlando knows that the level of detail put into every aspect of construction by the Imagineer's is second to none. Every cast member, building, storefront, ride, and street corner has been adorned with a theme that tells a story of its own. 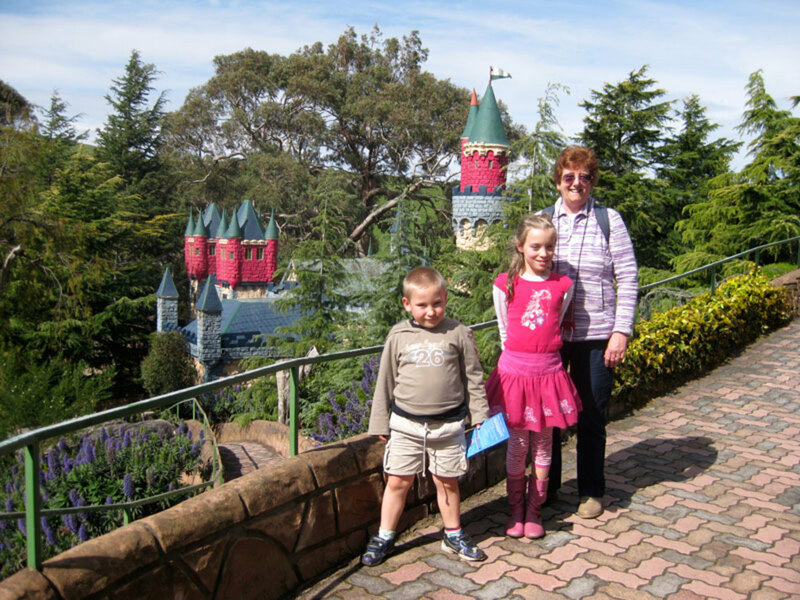 With nearly 60 million patrons going through the parks each year, it's not uncommon for park visitors to be so focused on hitting the major attractions that they forget to take in the small mystery and subtleties that make the experience complete. I share with you now some of the lesser known "Secrets" of Walt Disney World Orlando to enhance your next visit, and so that you may possibly encourage others to "stop and smell the roses". 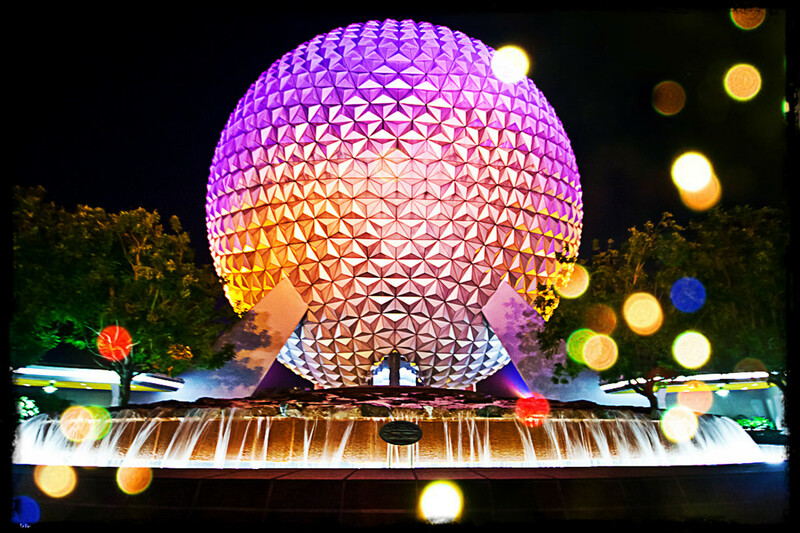 I share with you now, Fun Facts and Secrets of EPCOT! The grand opening of Epcot Center in 1982 brought together ideas originally set to become two different parks. 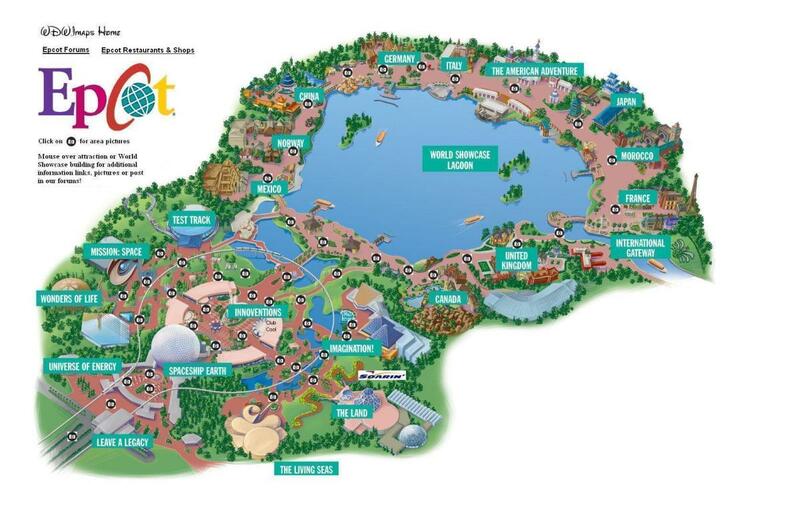 Known as the "permanent World's fair", Disney's original vision was a self sufficient living community of tomorrow. The idea consisted of roughly 20,000 residents living in a self-sustaining small community where everyone was employed and transportation was found only in the form of monorails and "people movers". After Walt passed away, many of his ideas were put on hold or moved to other projects. 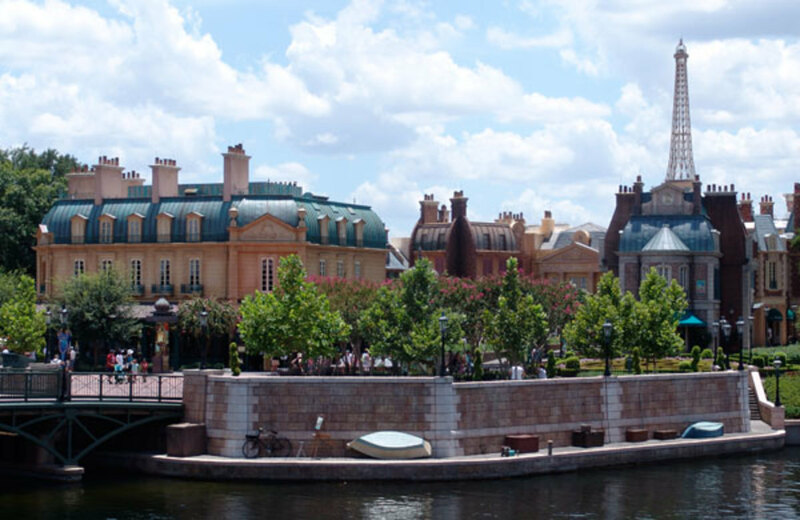 While some of the foundation for Walt's ideas were embodied within the design of Epcot, the closest realization came together in the form of Celebration Village in Kissimmee, Florida. Instead, for Epcot, a fusion of future technologies and innovation merged with the representation of eleven different nations and cultures in what would become Disney's largest park. On the Soarin experience, notice in the pre-ride video that the flight number is 5505. That is because the ride opened in Epcot on May 5th, 2005 (happy cinco de mayo). 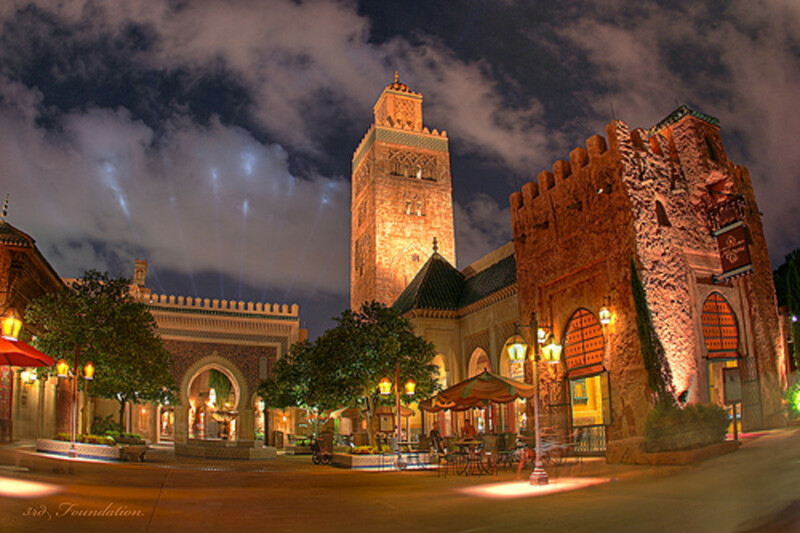 After construction of the Tower of Terror in Disney Hollywood studios, it was discovered that you could actually see the back of the ride from Epcot when you looked at the Morocco pavilion. The back of the ride has been adorned with decorations to blend in seamlessly with the Moroccan area. Where are all the pests? Disney utilizes over 300,000 warrior insects as well as feral cats to naturally control the pest population. After construction of the United Kingdom area it was noted that the buildings were far too clean to appear authentic. Painted on soot was then added for realism. While exploring Norway's pavilion see if you can find all 28 trolls hiding in the building. 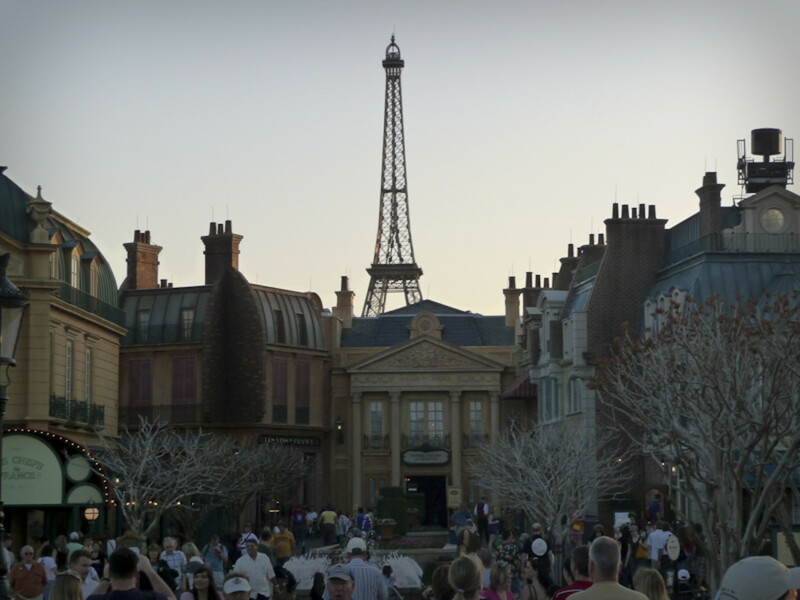 The Eiffel Tower in the France pavilion is scaled wide at the bottom and narrow at the top. This is to make it appear taller than it actually is. If a bird were to land on the top of it, not only would it make the bird look enormous, but the tower would lose its illusion. Disney uses natural bird deterrents such as Methyl Anthranilate (found in concord grapes) to keep them away. The huge building in Germany's pavilion next to the Biergarten has set empty since 1982. Originally set to be the "Rhine River cruise", the attraction was never built. Look around as you make your way from Morocco to France. You will notice the walkway becoming darker. 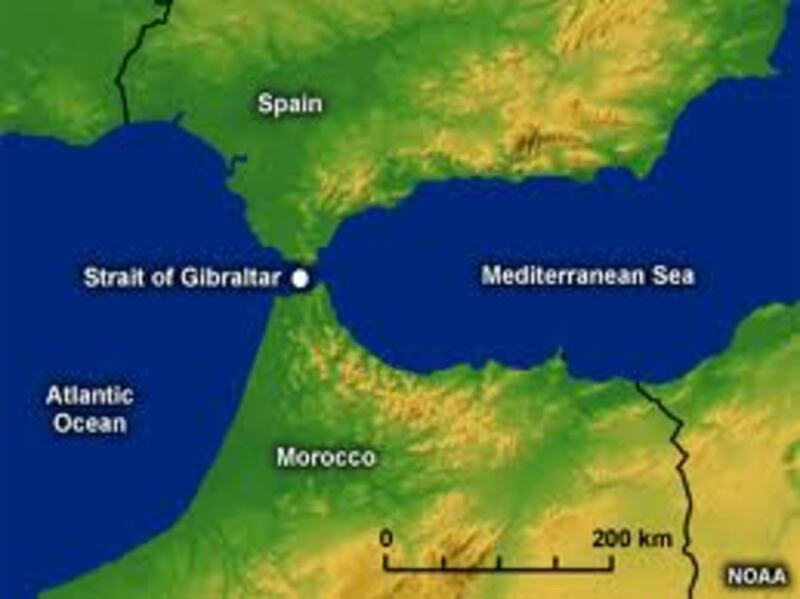 This represents the Strait of Gibraltar. What is weird is that for this to be geographically correct, France should actually be Spain. Was this designed with the Spanish nation originally cast for Epcot? Or is this possibly an indication of what the future may hold for the park? 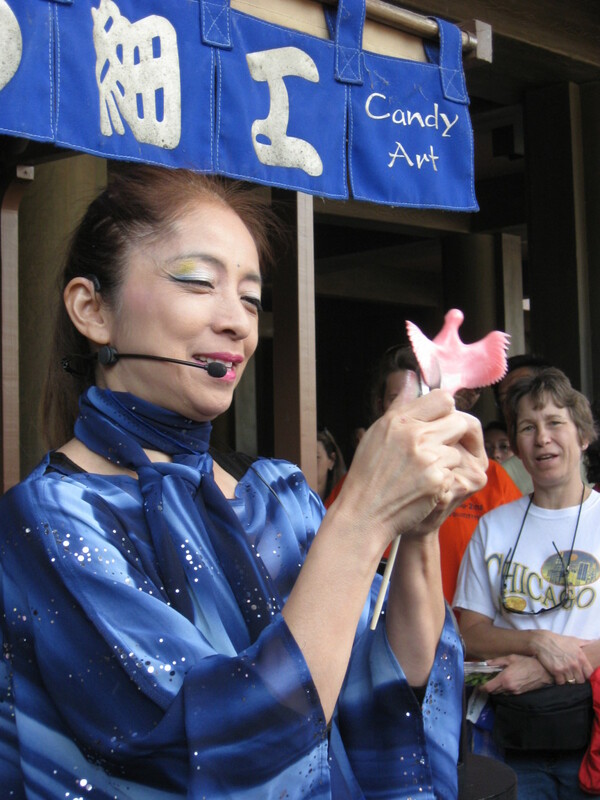 Take a moment while in Japan to visit the candy artist, Miyuki near the Mitsukoshi store. She is demonstrating the art of Amezaiku, creating animals from taffy using scissors, tweezers, and dyes. Historically, it was imported from China and used to make offerings in the temples of Kyoto. Miyuki is one of the only female artists of the traditional practice and is a crowd favorite, especially among children. There are 3 water fountains in Future World. They will talk to you as your drink! The trash cans inside the Electric Umbrella dining facility will converse as well when they receive waste. The large structure in front of Wonders of Life pavilion is a representation of DNA. After the grand IllumiNations fireworks display at the end of every fun day at Epcot the park visitors begin to shuffle back to the entrance. If you stick around for a few extra minutes between 10 and 10:30 you may be treated to a brief but spectacular show, but don't blink or you will miss it. The floating barge does a fuel burn-off in the middle of the World Showcase Lagoon and looks like it is exploding! Poles for the IllumiNations show rise out of rocks in Canada and Japan so watch where you sit! 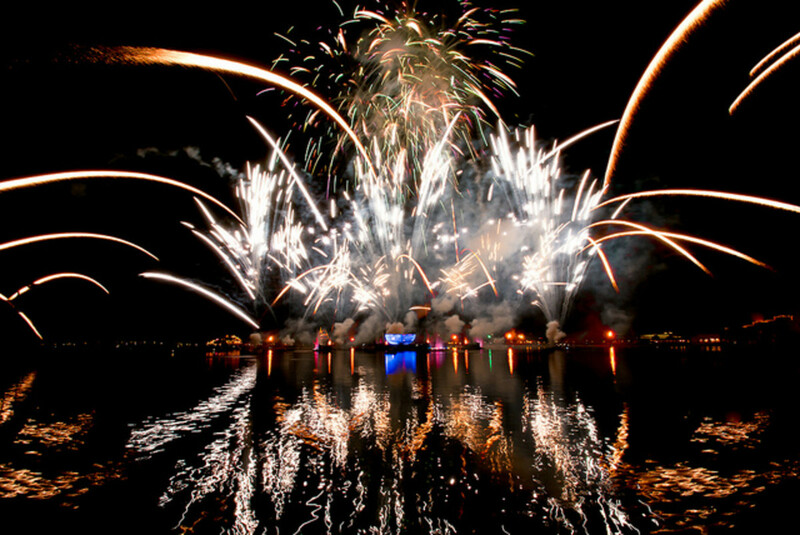 During the IllumiNations fireworks display, the outline of all the the nations pavilions will glow... except Morocco. This was intentional out of respect for Muslim spiritual beliefs. When it downpours you will notice that people standing below the giant sphere do not get soaked. The iconic structure has a unique gutter system engineered to collect the rainwater, run it through the support system, and back into the lagoon. 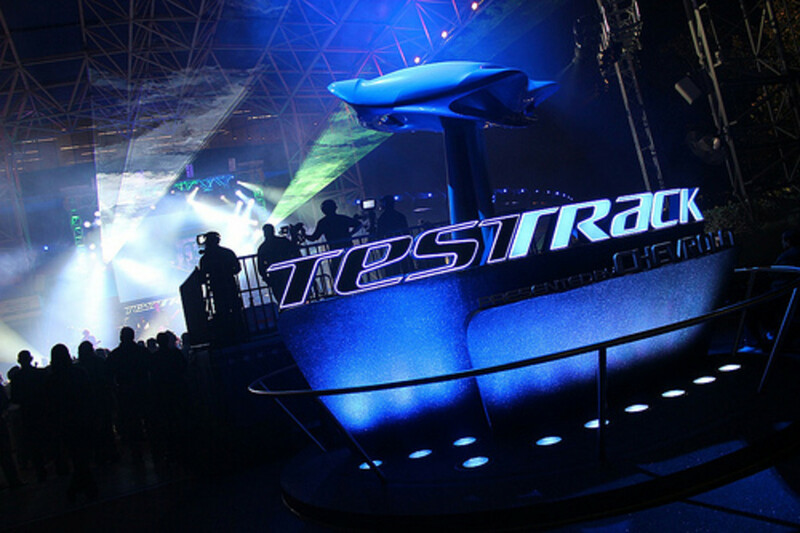 Imagineering at its finest! If you happen to have anymore secrets of Epcot please submit them to me through my profile account at the top. 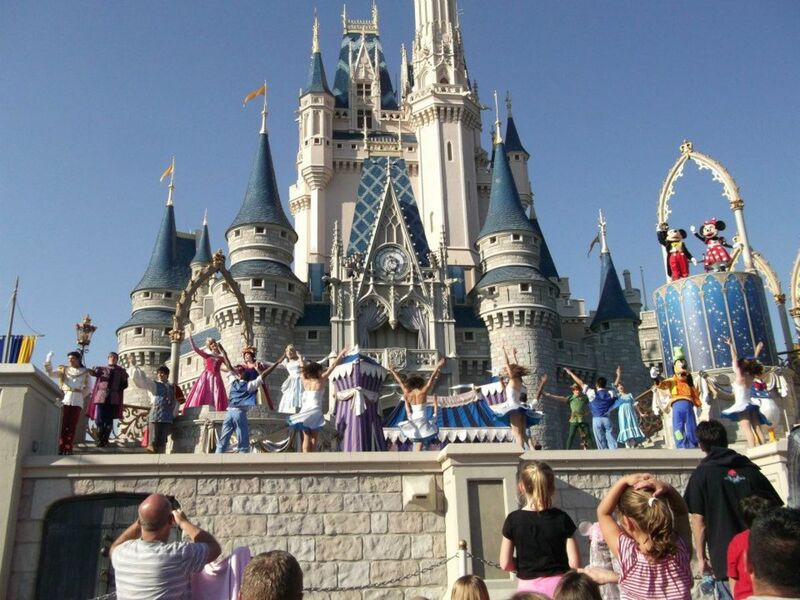 I hope you found something that will add just a little more "magic" to your Disney experience! I will be releasing Fun Facts and Secrets to each park in Walt Disney World so check back soon! 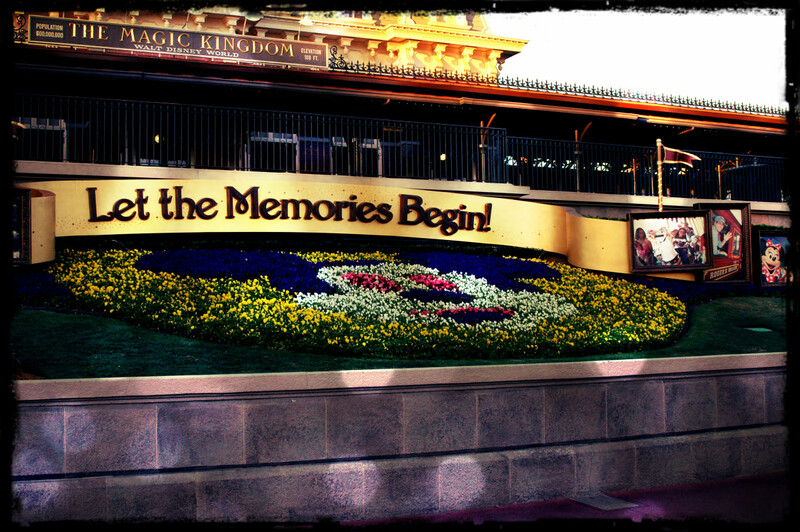 If you enjoyed Epcot, I hope you check out The Magic Kingdom, Fun Facts and Secrets! 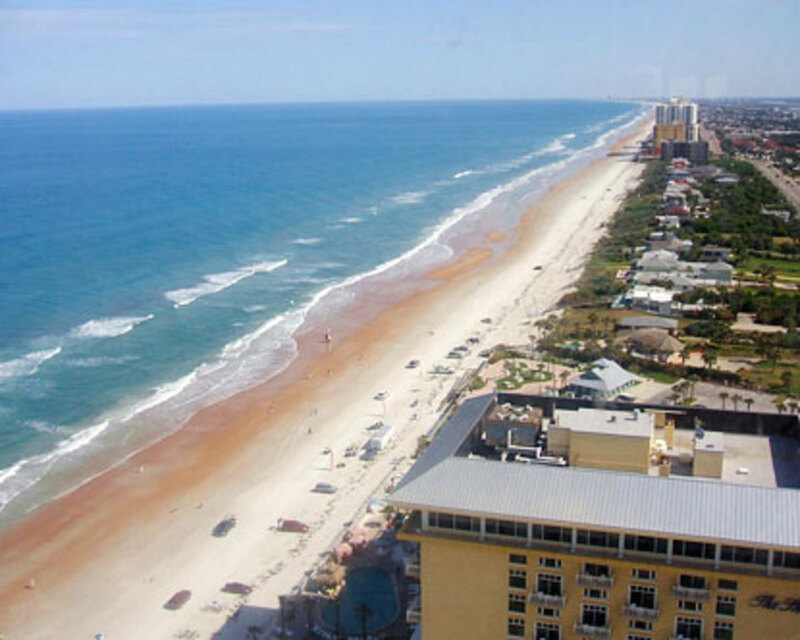 Just over an hour from Orlando, beautiful sandy shores! If you plan on being in the area make the most out of your visit and check out my Daytona and Surrounding Attractions page!